It is exactly a year since Ibrahim Mustafa Magu’s nomination as the fourth substantive chairman of the Economic and Financial Crimes Commission, EFCC was first rejected by the Senate. According to an Intel report by the secret Police, Mr Magu, is a liability to the corruption fight he leads. Indeed, Mr Magu a level 14 civil servant, is a man with a terrible record. Paragraph 8 of the letter sent to the National Assembly by the DSS revealed that Mr Magu “parades a twin personality. “At one level, he is the czar who has no friends, no favourites and is ready to fight corruption to a standstill. However, with a key friend in the person of Umar Mohammed (Air Commodore/Rtd), a controversial businessman, he has betrayed the confidence reposed in him by the present administration. “Whereas Magu portrays himself as very secretive, he has fostered a mutually beneficial relationship with Mohammed who, by his confession, approaches ‘clients’ for possible exploitation, favours and associated returns. 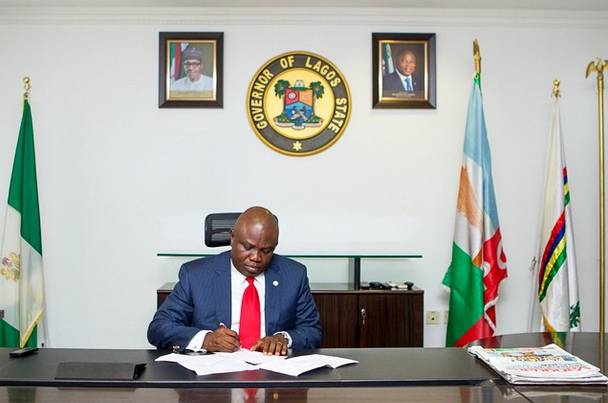 “This was facilitated with official secrets divulged by Magu and from which dealings he is believed to have been drawing considerable benefits. “In the light of the foregoing, Magu has failed the integrity test and will eventually constitute a liability to the anti-corruption drive of the present administration,” the 16-paragraph letter concludes. So the worst of all this, is knowing that within the past 12 month, Mr Magu has fulfilled the prophesy given in the report written by the Department of State Service, DSS. Mr Magu,”a liability to the anti-corruption drive of the present administration,” can not give a clear answer to how much has been recovered over the year. During his tenure as chair, Mr Magu has not won a case against any Politically Exposed Person, PEP. In fact, he hindered the good work done by Abubakar Malami, SAN, the Attorney General of Federation and Minister of Justice by withholding the case files of PEPs. Some say the self-acclaimed anti-graft czar, withheld the files so as to negotiate and collect money from those accused of wrong doing. Well, it would not be the first time he has done so. This newspaper once released an audio tape of Ibanga Akpabio boasting of his links Mr Magu. So, it is true to say that under Mr Magu, Corruption Is Thriving. Thanks to Mr Magu, Nigeria has been suspended from the Egmont Financial Intelligence Unit. Not satisfied with causing the problem, the 53-year-old whose accountancy degree remains in doubt, is committed to sabotaging the Senate’s effort in resolving the matter. Shortly, after this newspaper exposed the suspension, Mr Magu was caught in a N300 million fraud scandal in the same department. Those who support Mr Magu say it is corruption fighting back – but with the evidence gathered, it is now clear that the anti-graft boss is his own enemy. Among the things recovered from the Police Officers farmstead in Karshi was several number of ammunition. DENISAURUS News,the first to publish the details of the DSS Report, has constantly highlighted the atrocities committed by Mr Magu. To get a clearer view of who Mr Magu is, DENISAURUS News spent over a year speaking to more than a hundred operatives at the EFCC, most of whom asked not to be named. Staff say Mr Magu is a deceptive, cunning, bullying and blackmailing chair. Last year August, Core Staff of the commission gave an exclusive interview to this newspaper detailing the corrupt act of Mr Magu. The interview was published by a popular Kogi blogger, Abubakar Sidiq Usman (Abusidiq), which lead Mr Magu to order for his arrest. Investigation carried out by the Secret Police has since proved this newspaper and our sources at the Commission to be right about Mr Magu. EFCC staff members, who know their boss better than anyone else are not shocked that a year on, the Borno corrupt Deputy Police Officer continues scheming and plotting against the administration which put the corruption fight as the fore of its agenda. Therefore, DENISAURUS News commends the Senate for rejecting Mr Magu’s nomination again on March 15. His hands are seriously soiled hence, he really is not “fit” for the exalted position of EFCC chair. 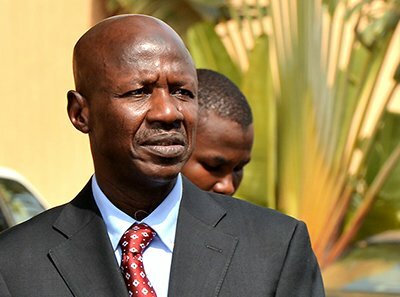 In a recent petition from EFCC staffers, Mr Magu is accused of carrying out an illegal recruitment exercise, which he desperately wants to cover up. Shehu Bashir says to confirm this allegation, “I challenge the House of Representative to ask Mr Magu to also present the payment vouchers he has been using to pay staff salaries, including the bank statements and compare same with the submitted Nominal Roll. One would think that by now, having failed to perform at his screening, a damning Intel report and an uncountable number of allegation from staff against him, Mr Magu would have been replaced with a suitable detective.